Sometimes people with serious mental illnesses or addiction issues use poor judgment and find themselves facing legal charges. These offenders often spend unnecessary time in jail, lack access to treatment services, and become repeat offenders – cycling through the justice system yet again. Our Court Services programs involve close collaboration between criminal justice, mental health, and substance abuse treatment systems — all of who truly want everyone to succeed. The goal is to divert individuals from the jail system and into treatment. Programs involve identifying and addressing the unique needs of the offender and require intensive treatment and community supervision. People who participate are held accountable for their behavior in an immediate, practical and supportive way. These programs achieve the following results for the benefit of the offenders: Faster case processing time, improved access to treatment services, improved well-being, and reduced recidivism. Other than saving taxpayer dollars, an important outcome achieved by the program for the larger community is improved public safety. If you or a family member may be able to benefit from one of these programs, please contact us now or request these programs from the court. These creative alternatives to jail time allow individuals who have made mistakes to change their ways and get their lives back on track. 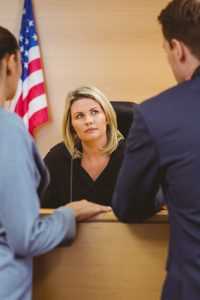 Mental Health Court is an individualized, intensive treatment program for consumers with serious mental illnesses with qualifying offenses, both misdemeanors and felonies. It lasts approximately 6-18 months, depending on the individuals’ needs. Drug Court is an intensive substance abuse program for consumers with non-violent criminal drug charges. It lasts a minimum of 18 months and involves supervision by DOC Probation and intensive treatment. Treatment expectations include therapy (at least 4 times a week), involvement in 12 step recovery programs, weekly drug screens, and weekly court appearances. Re-entry Case Management Services is an intensive case management model which supports successful community re-entry for individuals with mental health diagnosis or co-occurring disorders. A skilled case manager provides assistance and linkages to housing, benefits, transportation, and treatment services. The primary goal of Charlotte County Juvenile Drug Court (JDC) Program is to provide intensive substance abuse treatment to arrested substance abusing juveniles and in turn reduced recidivism. The JDC Program is a voluntary court supervised comprehensive rehabilitation treatment program for nonviolent defendants and their families. The goals of this program are for the adolescent to begin a drug-free lifestyle; reach sobriety; improve family communications; and successfully complete all program requirements. The Juvenile Drug Court Program Team is comprised of the Judge and members from the State Attorney Office, Juvenile Probation Office, Court Administration, Charlotte County School District, and Charlotte Behavioral Health Care.